I’m running a little late today. A mix-up and a fried brain are my only excuses. But now, without further ado, we hear from Leeann Betts. As soon as some people hear that occupation, their eyes glaze over and you know you’ve lost them. Totally. Try telling an editor—or an agent—that your heroine is a forensic accountant, and not only do their eyes glaze over, they cross. Face it, with so much “reality” television out there, the word “forensic” denotes bodies, blood spatter, and DNA. Not that there is anything wrong with bodies, blood spatter, and DNA. 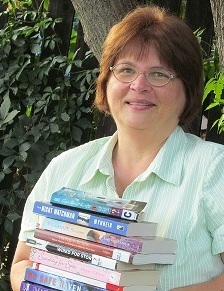 In fact, I love reading and writing about those very topics. However, forensic accountants search for bodies of a completely different sort—they search for hidden assets, embezzled funds, illegal gains, and such. Forensic accountants are specially trained to hunt through records, follow rabbit trails, ferret out secret bank accounts and safe deposit boxes, and generally look for any assets—property, cash, stocks, bonds, precious metals, businesses—that a person could think of. The career opportunities for forensic accountants is varied, and includes the IRS, FBI, and other government agencies interested in tracking money and assets. They might be hired by law firms who specialize in divorce law, estate law, and probate law. They will generally be certified public accountants who have taken specific courses in investigation, auditing, and criminal psychology and profiling. As with most accountants, forensic accountants enjoy numbers, particularly the fact that one and one always equals two. In Carly’s words, she likes numbers because numbers don’t change—unlike people. Numbers don’t talk back—unlike people. And numbers are always balanced—unlike most people Carly knows. In my mystery, No Accounting for Murder, releasing in eBook format on Amazon, NOOK, and Smashwords on August 15th, Carly Turnquist finds herself caught between missing money and a missing mayor. When she begins looking into why her daughter has been charged with stealing this money, the mayor hightails it out of town. Later, his body is found under suspicious circumstances. The police want to rubber stamp it an accident, but Carly’s antenna is on high alert. Can Carly find the money before the teachers’ payroll is due? Will a threatening fax stop her? Or will she persevere through cut brake lines, a near-drowning, and carbon monoxide poisoning to reveal the killer and prove her daughter innocent? Check out Carly in Book 1 of the By The Numbers series, with Book 2 releasing in November and Book 3 in February. 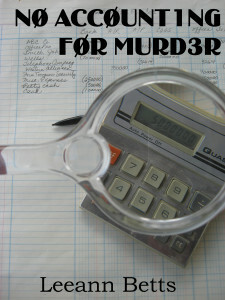 In No Accounting for Murder, Carly proves that accountants are anything but boring when she is caught in a deep mystery of missing money, a threatening fax, cut brake lines on her car, and carbon monoxide poisoning. Will Carly survive long enough to prove who the killer is, or will this mystery person succeed in ending her life and changing the small East Coast town of Bear Cove forever? Available at Amazon, Barnes and Noble, and Smashwords. 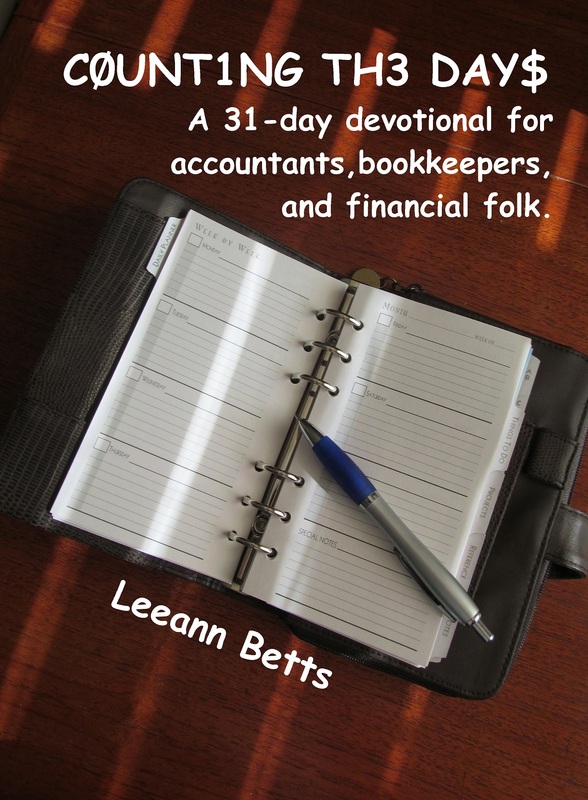 Also, Leeann has penned a 31-day devotional for accountants, bookkeepers, and financial folk, already released on Amazon, Counting the Days. Makes a great gift for yourself or your favorite money person. RECENTLY RELEASED: Second Cups and Second Chances – sweet stories of second chances from a God of second chances. 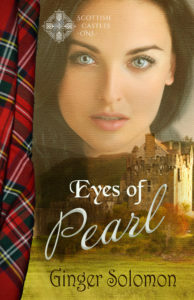 Available at Amazon.com and Kindle KDP Select. Thanks for stopping by Leeanne/Donna. 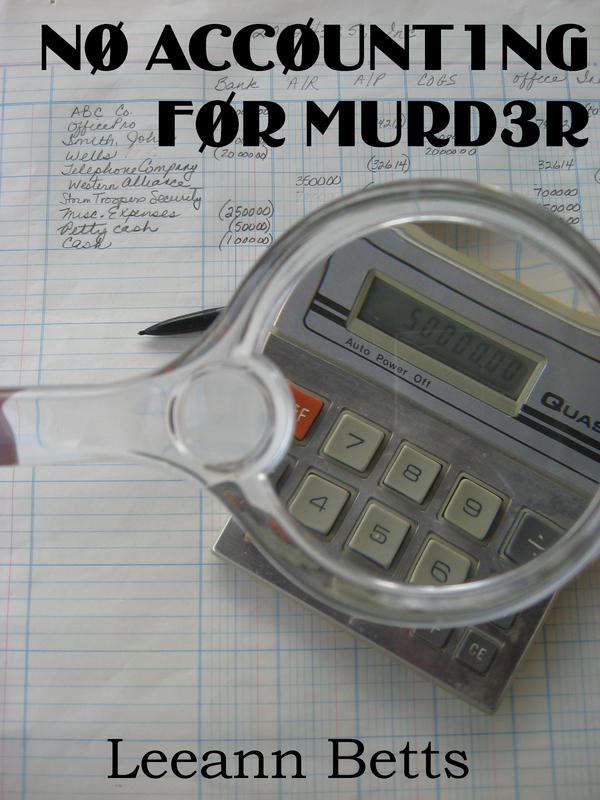 I enjoyed learning a little about what a forensic accountant does. Your novel looks interesting.